Jobs for the position of lecturer and instructor have been announced by Technical Education and Vocational Training Authority (TEVTA) and for this purpose, applications from suitable candidates have been invited. So all the individuals who are fulfill the requirements related to eligibility criteria and are interested in any of the available jobs, can submit their registration forms to National Testing Service (NTS). As per announcements made by the official authority, TEVTA is looking to expand its workforce in order to meet the growing work load requirements which is why applications from competent, dedicated and dynamic professionals who have the domicile of Punjab province have been invited. So all the individuals with qualification in Fine Arts, Physics, Chemistry, English, Home Economics, Electronics, Mechanical, Electrical, Civil, Auto and other technologies are advised to apply for these jobs and become part of a well-established and rapidly growing institution. In addition to fulfilling the basic requirements related to age, qualification, experience and domicile, the interested individuals also need to pass a written test which is scheduled to be held under the strict supervision of National Testing Service (NTS). The responsibility of organizing the test has been given to NTS in order to ensure complete fairness and transparency in the selection procedure so that no one can raise a question about the authenticity of the selection procedure. The reason behind imposing the condition of passing the NTS written test is to make sure that only the most talented and deserving candidates are able to move further in the selection procedure while the remaining ones can be eliminated from very beginning of the selection procedure. The National Testing Service will be announcing the written exam date soon after the completion of registration process so keep visiting our website for all latest updates related to it. As NTS written tests are pretty difficult to pass and in case of Government of Punjab TEVTA jobs 2016, the candidate must score atleast 50% marks in the test in order to become eligible for moving further in the selection procedure. To help our visitors in doing so, we have provided several free online sample papers and MCQs tests on this page which can be used as a guide for quick and easy NTS test preparation as they include all the important questions that have really high amount of chances for being included in the actual exam. 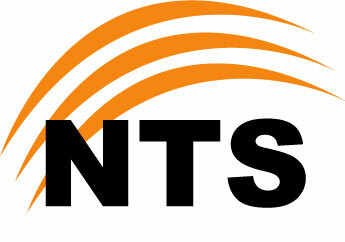 After the successful conduction of the test, NTS will announce the result in next few days and the successful candidates will then appear in interview where the final selection will be made. 1014: High King of Ireland Brian Boru defeats Viking invaders, but is killed in battle. 1635: The first public school in the United States, Boston Latin School, is founded in Boston. 1914: First baseball game at Wrigley Field, then known as Weeghman Park, in Chicago. 1946: Manuel Roxas is elected the last President of the Commonwealth of the Philippines. 1990: Namibia becomes the 160th member of the United Nations and the 50th member of the Commonwealth of Nations. 2005: The first ever YouTube video, titled "Me at the zoo", was published by user "jawed".